Stories of pregnancy and feelings of doubt? I had a well-meaning friend this evening tell me about an infertile colleague who tried “this thing” and got pregnant right away. “This” could be anything, we’ve all heard these success stories I’m sure. I thought I was at the point where hearing these stories would no longer bother me, no longer cause a well of self-doubt and “maybe we should just try this one last thing” thinking. We are just entering our Waiting for a Match stage, and I want (and am!) to be excited about that. So my inner response to this tonight has thrown me a bit. they all did it to me, take it with a grain of salt, you’ll have your day !!!!! Adoption and infertility are 2 different things. I beleive what you are feeling is normal. We are finally at what we beleive is the end stages of our adoption journey and waiting for the call to go to our daughter but I can promise you, although I have accepted my infertility I know there will be days when I still long to feel what it is like to carry and give birth to a child. This does not mean I will love my daughter any less but probably MORE knowing that God brought her into our life. You will get through this and although you will never “forget” your infertility, you will enjoy your family however it is built. I think it’s just naturally hard to completely close the door on our fertility. You can grieve it but there’s nothing concrete to bury. There is a great blog post on this site about it with a ton of comment! I have found I’ve gone through stages with it. At the begining I felt lucky that we had so little hope of a pregnancy that adoption was the obvious solution and we chose it quickly. Then it took nearly five years which was our fault because of our indecision in choosing a route or agency. Then after we brought our son home I found that I wished I had given birth to him. That we were a normal family and that I didn’t have to deal with all the issues adoption brings. Not that I regret it and I love his birthfamily but I wish it was easy and normal. I grieve for my son too because he has to deal with growing up adopted. I love him so much. Now that I want another I am back to thinking how much easier it would be if I could just get pregnant. My husband struggles with this as well but I know he wouldn’t verbalize it in the same way. God can conquer all but in our case it would truly be a miracle. Still I read stories and I think maybe with sperm donation….. Ultimately for us I think we need to shut the door and lock it but it ‘s hard. I think you have to continue to reanalyze your decision. No one says you can’t persue both options at the same time. Good Luck and I hope you hold your baby soon. Even after adopting, I often joke that I spent so long doing infertility treatments that my brain forgot that we’re no longer on that path and thinks “what if” when I hear about this, that or the other thing. I think it is totally normal to still wonder “what if” or be a little sad about that loss, and that in no way diminishes your commitment to adoption. Those feelings can coexist. 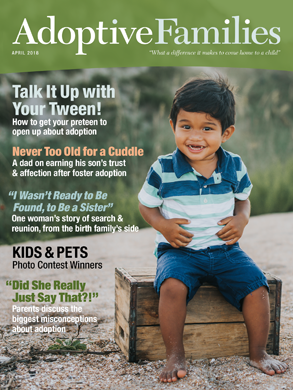 Adoption is not the solution to infertility. Adoption is a beautiful way to form a family though, and when we made the choice to adopt, it was because being a mommy was more important to me than pregnancy or giving birth (not that there is anything wrong with wanting that). Adoption doesn’t erase the infertility feelings - although after you bring home your adopted child you may find you are so busy you don’t think about it so much. Wishing you the best! I’ve struggled with the same feelings, and it is completely normal, both to have the feelings and for them to surprise you. It never ceases to amaze me how many good meaning people just assume that trying “this” will work, or that giving you that hope is helpful and not potentially depressing/harmful. I’m sure your friend meant only to help you, he/she knows that you want children and sees this as a potential route there. The reading I’ve done about grieving infertility, especially in adoptive families, encourages families to find healthy outlets for their grief. Talk about your feelings and share how you are sad/hurt/depressed about being infertile. Getting out those feelings can help reinforce your reasons for wanting to adopt, and can help you put your grief in the proper perspective. Thank you all! Your responses were SO helpful and good to read. I also have 2 infertile friends who I shared it with (incidentally, the one who made the initial comment is also “one of us”, who has now accepted her childlessness, so as I said I KNOW it was well-meaning, I didn’t have a problem with her saying it, I just was saddened by my own response to it). Thank you so much for sharing that I’m not alone in feeling this way, I really appreciate your support.